Each one of these CBD pet cookies contains 2mg of CBD. Every bag of these pet treats contains 25 cookies. We put the same high-quality CBD into our pet treats as our products for people. The hemp from our Kentucky farm is processed in an FDA-approved facility. Are you sick of feeding your animals treats that are full of chemicals and processed ingredients? These cookies are made from ingredients that are natural and easy on your four-legged friend’s tummy. Many people have seen improvement in their pet’s lives, even those who are suffering from inflammation and other conditions or medical problems. 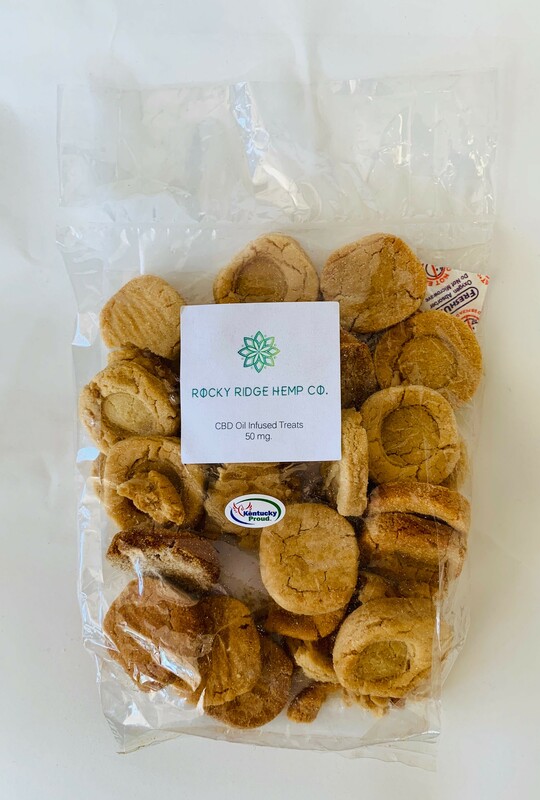 Order full-spectrum CBD oil, CBD e-liquid, and many other hemp products from Rocky Ridge Hemp Co. today.